Thiess has secured a nine-year, $1.7 billion contract for works on the Jwaneng diamond mine’s Cut-9 expansion in Botswana, southern Africa. The Jwaneng project is owned by Debswana Diamond Company, a joint venture (JV) between the Government of Botswana and De Beers. 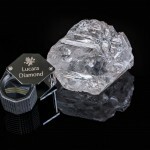 The site is considered the world’s richest diamond mine. It is one of four mines owned by the JV in Botswana, alongside Orapa (the world’s largest diamond mine by area), Letlhakane and Damtshaa. CIMIC Group-owned Thiess entered the contract through its own JV, Majwe Mining, with local company Bothakga Burrow Botswana. 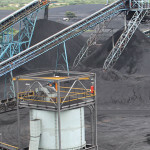 Thiess owns 70 per cent of Majwe while Bothakga owns the remaining 30 per cent. Douglas Thompson, CIMIC Group mining and minerals executive and Thiess managing director, said the team would “deliver scalable and innovative solutions” for the project. Majwe has been active at Jwaneng since 2011, with the JV’s works on the Cut-9 project following its completion of the $US3 billion ($4.2 billion) Cut-8 expansion in November 2018. Cut-8, now the mine’s main source of ore, will extend the mine’s life until at least 2024, increase its depth by 250 metres to 650 metres, create 1000 jobs and contribute an estimated $US31 billion ($43.7 billion) to Botswana’s economy, according to De Beers. CIMIC Group chief executive officer Michael Wright said that the relationship between Majwe and Debswana was a “testament to all involved with the project”.